It helps to reduce dry lips with Rosa Fruit Oil, Aleo Leaf Extract and Vitamin E. The moisture-rich formula helps to repair dehydrated lips and increase lip color. 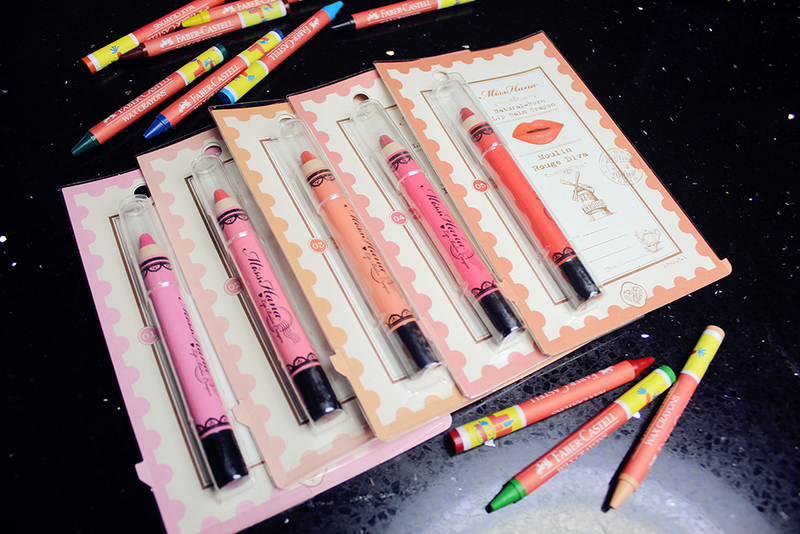 I always obsessed with crayon type of lippies. They are fun, cute, adorable and really seductive. It also like an oversize Crayola. It is travel friendly, easy to apply without a mirror and go on neatly and sharply like a pencil will do but in a flattering smoky finish. Handily, I find they're less prone to melting in the summer than traditionally packaged lipsticks. They're a cinch to use, even for the clumsy and beginner. 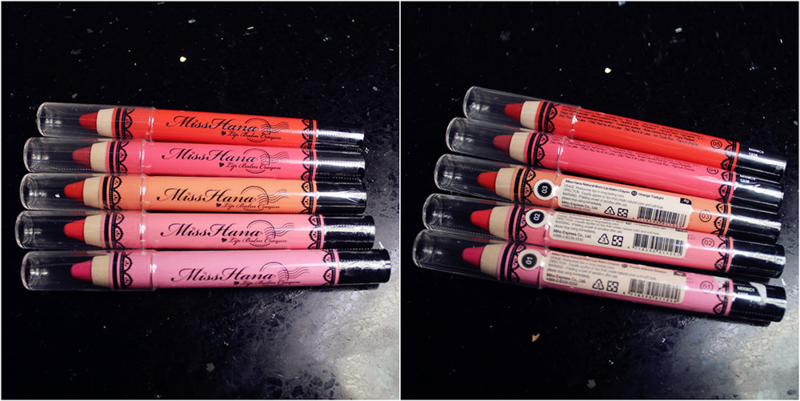 There's one more thing I adore in all lip crayons which I find they're less prone to melting better than the traditionally packaged lipsticks. 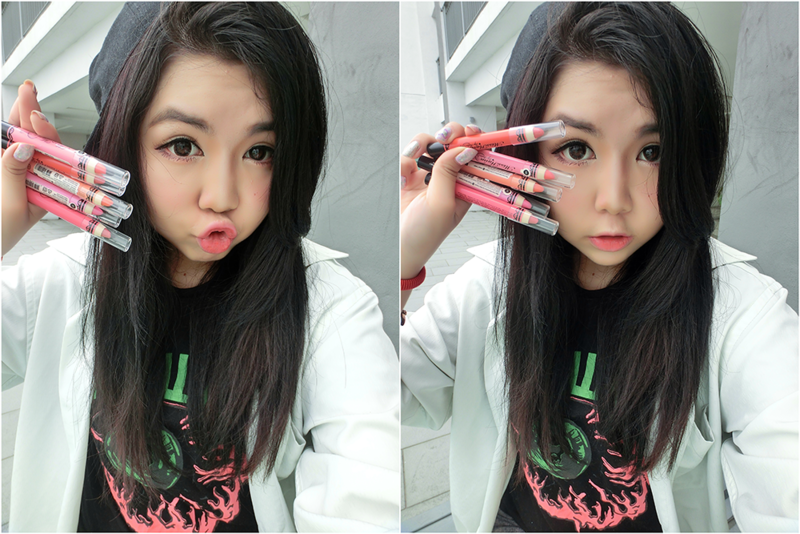 As so to Miss Hana Lip Balm Crayon! One thing I dislike is these lip balm crayon is not scrollable; means these lip balm have to use sharpener to sharp when it is dull. It's will be perfect if they could improve this. The texture is so smooth and moisturize when glide on. It's just perfectly for dry and chapped lips. It has a nice fragrance on it. Not fruity but smell like fragrance beads that was so popular during 80 - 90'an (*pic here*). All of them just smell the same. It so easy to glide on mouth although I have some chapped area and then it provides 24 hours moisture lips. I have the feeling like applying oil wax on my lip. Luckily it doesn't gives me the feels of greasiness and stickiness; just like have a thick of wax on my lips. It's really helps to moisture my lips. For long lasting part, it quite bad actually. 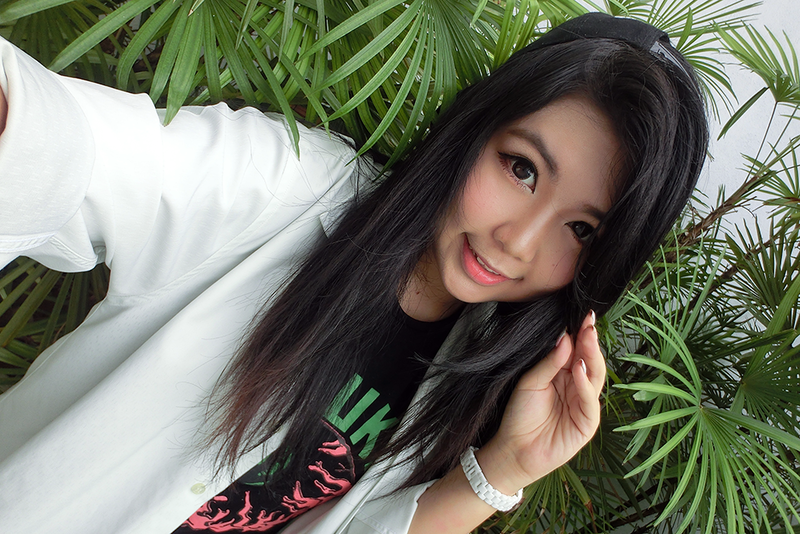 It is easy to smudge and can't stay whole day especially after having meal. 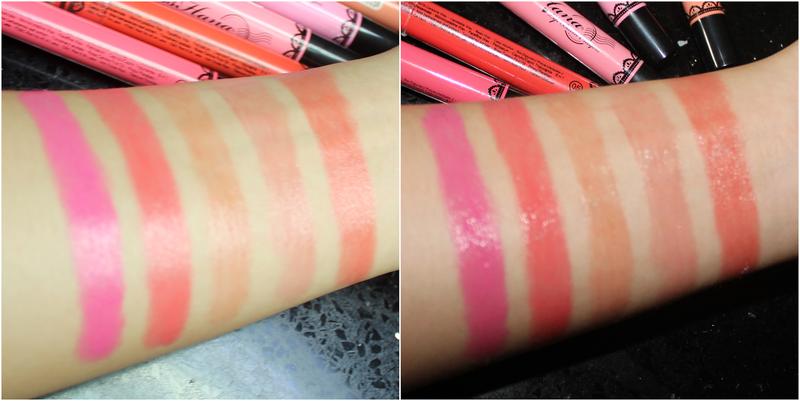 But there's a way to keep the product on lips longer which is apply one layer then using a tissue prints on it and then applying one more layer by using dapping motion. It will creates a longer stay version but fred not! It's still will off when having proper meal. 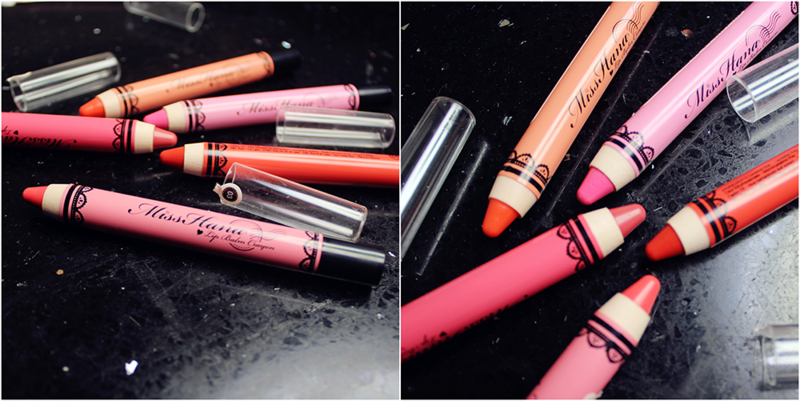 Therefore, I am recommend bring this lip balm crayon as on-the-go product. Besides that, it doesn't creates a stain on it. If you're like a pigmented lip balm, No.1 and No.2 is best while No.3 & No.4 gives a healthy glow color and lastly No.5 is between pigmented while also gives nice sheer and healthy glow. There's has two categories which are pink tone and orangey tone. My favorite color is No.2 New York Uptown Pink because I love pigmented yet I'm a person more on orangey tone. 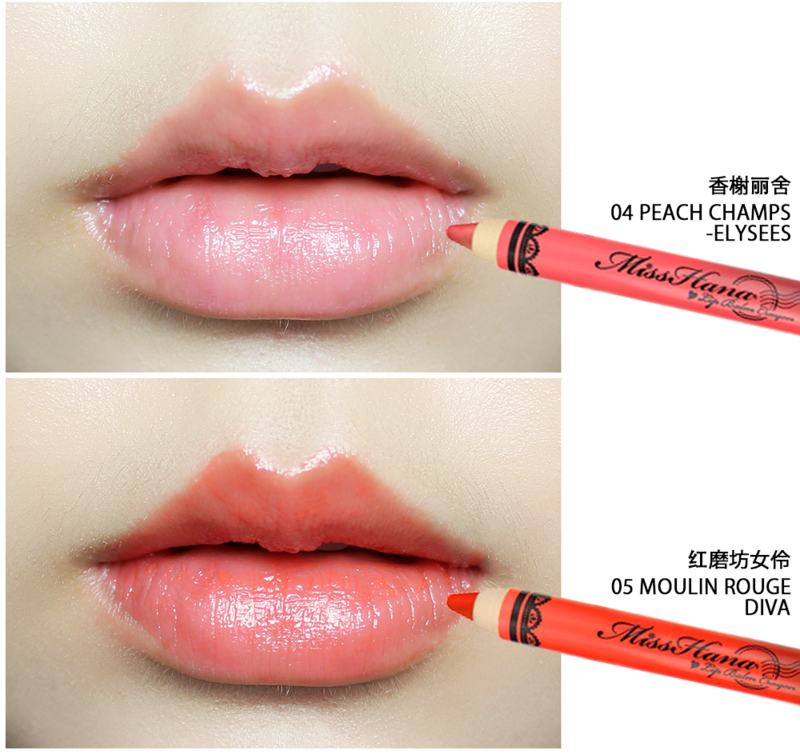 But if for creating gradient lips, I would No.1 & No.4 (pic references at above↑) because I like the combination of both together. 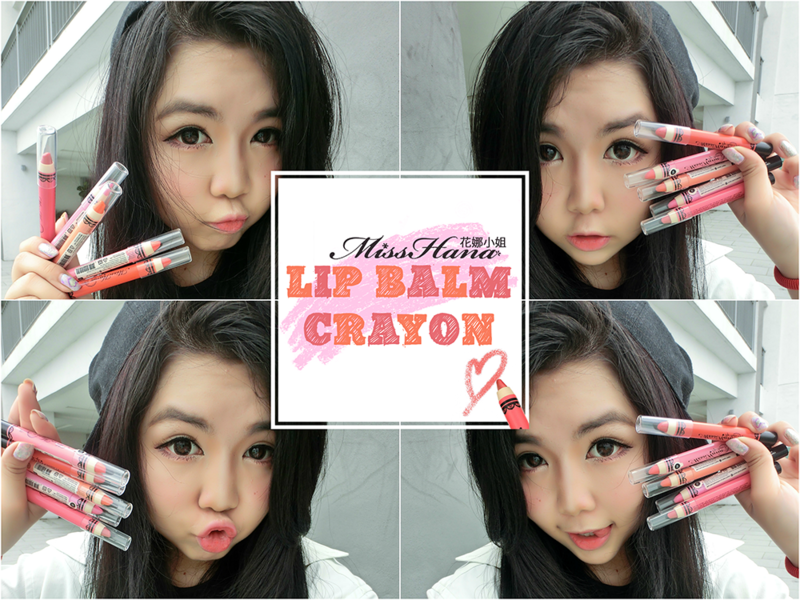 Miss Hana 花娜小姐 Lip Balm Crayon are available in five colors. 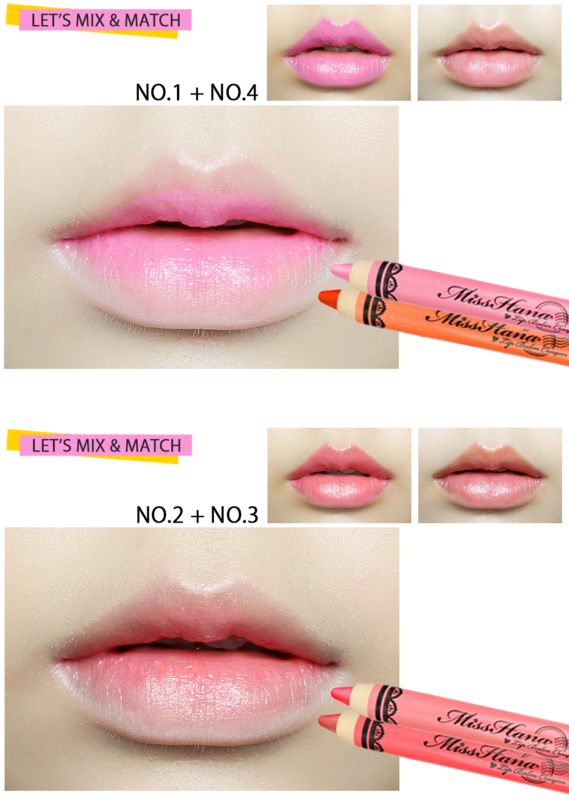 No.1 & No.2 are pigmented lip balm crayon; No.3 & No.4 are sheer lip balm crayon; and No.5 is combination of pigmented and sheer lip balm crayon. If you're more to pink tone, you can choose No.1 & No.4 while No.2 & No.3 are orangey tone. These lip balm crayon provides a high moisture but it quite bad for lasting part; put these lip balm crayon into bag for anytime touch-up. 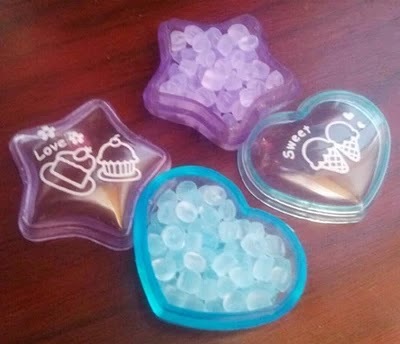 Besides that, it has fragrance (like frangrance beads). It is easy to glide and perfect for clumsy and beginner. the mix & match looks super good too! !